Late Hemchandra Roy and Late Sheelabati Roy envisioned the foundation of a school in Durgapur. 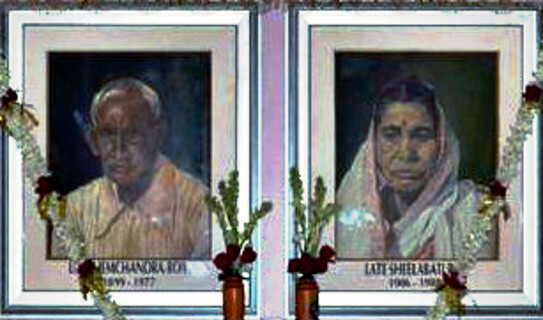 Their idea and will profoundly influenced their sons and daughters – Late Sri Goswamidas Roy, Sri Dwijapada Roy, Dr. Rabindra Nath Roy, Sri Lakshmi Narayan Roy, Smt Urmilla Konar, Smt Sulakshna Konar and Smt Satyarani Roy. In the year 1988, under the direct and active patronage of Dr. Rabindra Nath Roy and his wife Dr. (Mrs.) Protima K. Roy,a Professor of Science and Education at Drury University USA and encouragement of the brothers and sisters ‘Hemchandra Sheelabati Memorial Educational Trust’ was formed. The HSMS took its first step in the academic session 1995-96. Dr. Rabindra N. Roy, our Founder President, was born in a family having rich a cultural heritage in the city of Durgapur in the year 1939. In 1961 he obtained his M.Sc. degree in Chemistry with specialisation in Physical Chemistry from Jadavpur University, Kolkata and proceeded to the United States for advanced studies at Louisiana State University, and was awarded Ph.D. degree in 1966. He received D. Sc from Jadavpur University in 1999.